Help Grandma trim the Christmas Tree this year & give her an ornament she will treasure for years to come. Our Personalized Grandmother Christmas Ornament is individually hand painted and measures, 3.5 in x 3.75 in Each includes ribbon loop. Personalized Christmas Ornaments are customized with any one line custom message. Very cute personalizable orniment. A keepsake my grandmother can use every Christmas. Very fast shipping. 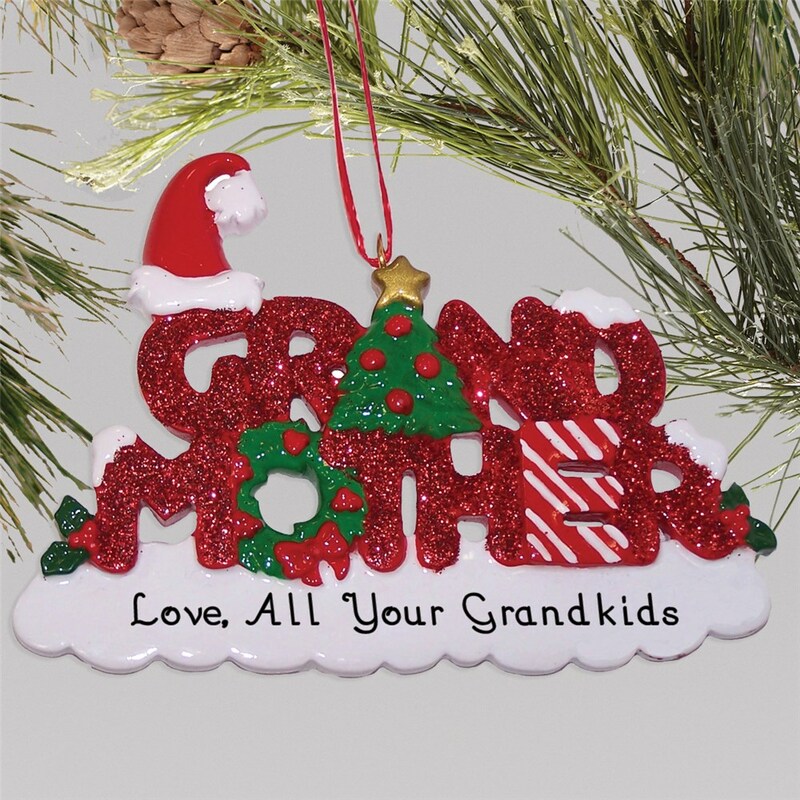 If you are looking for a Personalized Christmas ornament for Grandma, make sure to check out these unique name ornaments that have been made just for Grandma.... and Grandpa. Also, check out the rest of GiftsForYouNow's personalized gift Christmas Ornament designs for the whole family!